I’m going to give some broad generalizations on this page. These generalizations do not fit all trikes. I hope this info will help folks sort through all the choices as they look for their own recumbent trike. 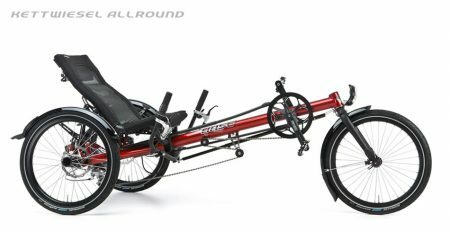 We strongly recommend that you test ride several tadpole and/or delta trikes from several different manufacturers and find YOUR favorite before you buy. 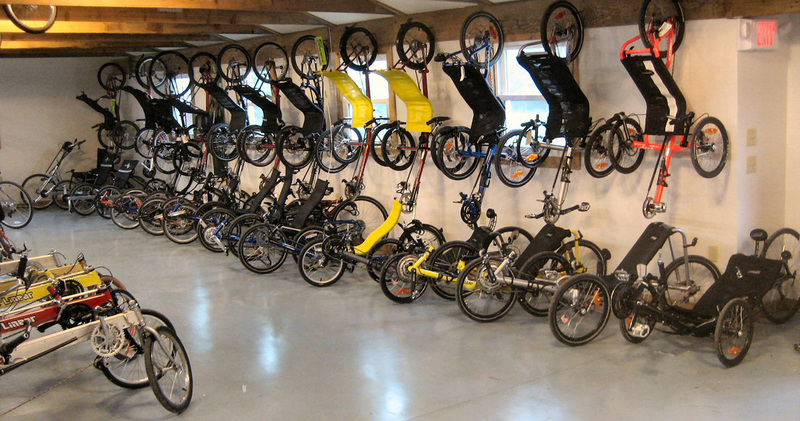 Without test riding you will probably buy someone else’s favorite trike. We would be glad to have you come here to try them. If you are to far away from any shops stocking a variety of trikes we can help you pick one and ship it to you. But test riding is the best. Tadpole trikes have two front wheels that steer. They have one rear wheel, which is driven by the pedals. Almost all have under seat steering (USS). These trikes tend to be smaller, lighter, faster and sportier. Some are lower, making them sporty but harder to get into and out of. 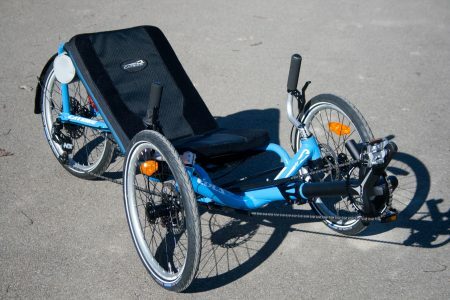 Many tadpole trikes are foldable making them much easier to transport. We once put TWO Ice Adventure trikes in a Honda Fit! Most tadpoles are more expensive than the cheapest Delta trikes. Tadpoles are often a better choice for more serious distance riders. Delta trikes have one wheel in front that does the steering. They usually drive one of the rear wheels; a few delta trikes drive both rear wheels. One-wheel drive delta trikes pull to one side when accelerating and climbing which can be annoying. The less expensive Delta trikes usually have over seat steering (OSS.) Delta trikes usually have higher seats making them easier to get into and out of although some tadpole trikes have quite high seats too. They are usually heavier, slower and less sporty. 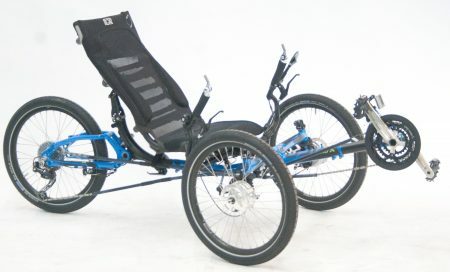 Many of the less expensive recumbent trikes are Delta trikes. Delta trikes are large and not foldable making them hard to transport. 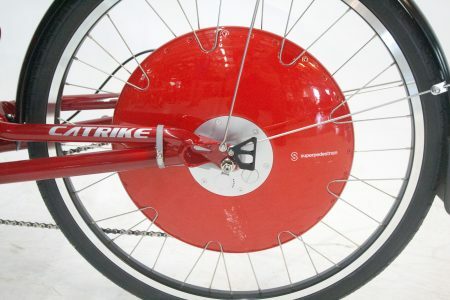 Disk brakes are more powerful for panic stops and especially good on a trike with a lower seat. 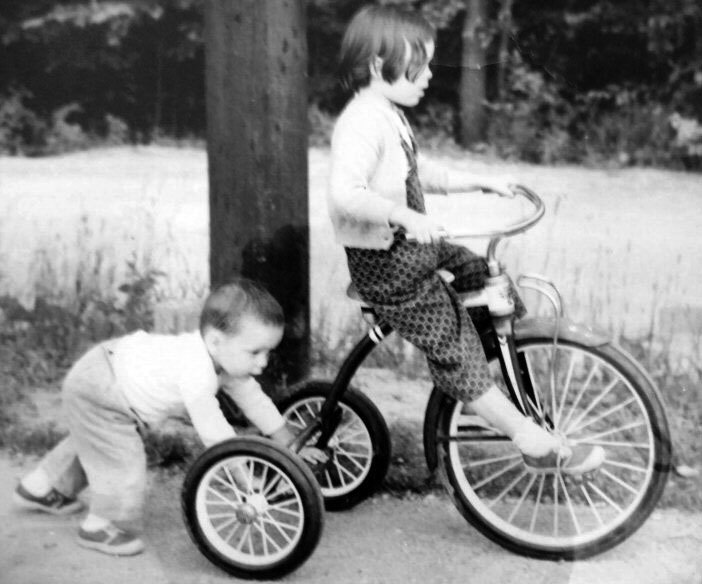 On a trike with a higher seat disk brakes are powerful and you need to be a bit careful. 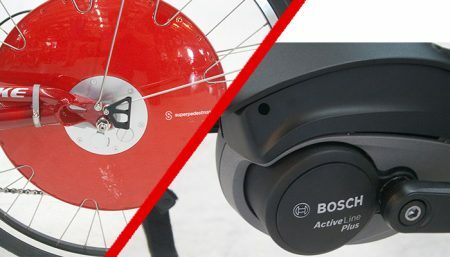 The disks can get hot when used, don’t touch them soon after a stop. The disks are sharp and when rotating can amputate a finger, stay clear! Drum brakes require less adjustment and never/almost never need the brake pads replaced. I prefer tadpole trikes; they are light, compact and sporty. 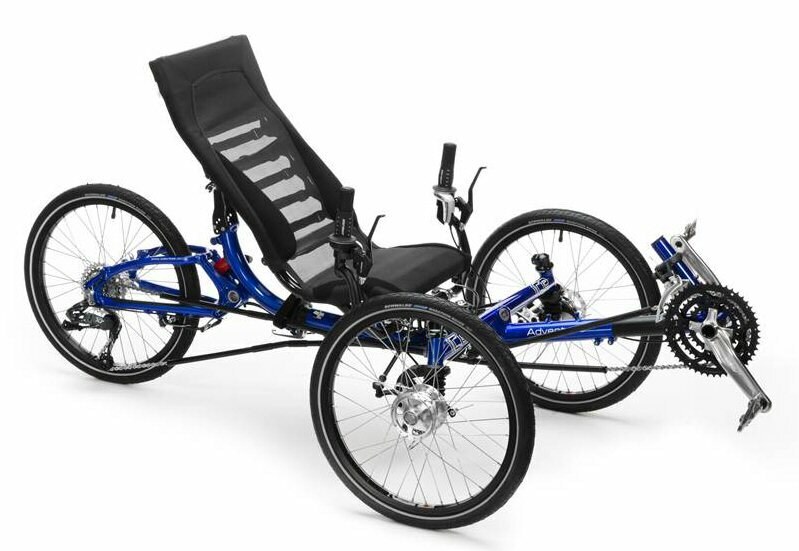 Even a tall tadpole trike like the Catrike Villager or Ice Adventure feels sportier to me than most delta trikes. I prefer USS steering because I find it more relaxing. Everyone has their own set of preferences. Reading about recumbent trikes is a good start but you won’t know which trike you prefer till you test ride a variety of trikes from several brands. Unless noted otherwise weights on our trike pages are measured on our hanging digital scale. We believe it is accurate. At least one manufacturer told us they use a bathroom scale, (others seem to guess.) Most manufacturers are a pound or two optimistic. Turning circles are outside to outside. You need this much space to turn around. We measured this with the handlebars set up for our comfort, on some trikes you could adjust the handlebars for a smaller turning circle if you prefer, we didn’t. We’ve Always Believed In Test Riding!